EQUIS is the leading international system of Quality Assessment, Quality Improvement and Accreditation of Higher Education Institutions in management and business administration. The EQUIS Scheme has been designed with special focus on all the activities of business schools that aim to meet international standards of quality. 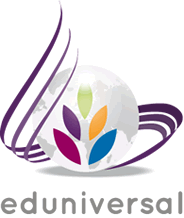 The fundamental objective of EQUIS is to raise the quality of management education worldwide. Equis gather 90 institutions world-wide with 60 in Europe. LSM has been accredited since 2006. Download the Peer Review Report. CEMS – the Global Alliance in Management Education – has been ranked number 8 out of 121 schools globally, in the QS Masters in Management rankings 2018. The most international Master’s in Management in the world, taken by the largest cohort.Our CEMS Masters in International Management programme (MIM) was ranked 9th in the Master in Management Rankings by The Economist (2017). It was ranked 4th in 2015, by Financial Times (number 3 in 2012 and number 1 in 2009). The CEMS MIM was ranked as the n°1 programme in the world for combined international results (international faculty, students and board, alumni mobility and international course experience), as it always has been since the ranking began in 2005. The Principles for Responsible Management Education (PRME) is a United Nations Global Compact supported initiative with the mission to inspire and champion responsible management education, research and thought leadership globally. Higher Education Institutions (HEIs) become signatory to the Six Principles of PRME, which are inspired by internationally accepted values and provide an engagement structure for academic institutions to advance social responsibility through the incorporation of universal values into curricula and research. PRME seeks to establish a process of continuous improvement among institutions of management education in order to develop a new generation of business leaders capable of managing the complex challenges faced by business and society in the 21st century. The Financial Times' International Business School Rankings ranked the Louvain School of Management's Master's in Business Engineering programme as French speaking Belgium’s No. 1 management master, and 55th in the world in 2018. The LSM has the honorable ranking of being one of the 50 best business schools worldwide, and 1st in Belgium, in 2009, 2010, 2011, 2012, 2013, 2014, 2015, 2016, 2017 and 2018. Master 120 in Management is 7th in Western Europe, 1st in Belgium, in the General Management category. International Management is 8th in Western Europe, in the "International Management " category. Le CFA Institute délivre la certification de Chartered Financial Analyst® (CFA®), un des titres de référence mondialement reconnu dans le domaine de la finance. L’objectif du CFA Institute est de développer l’excellence professionnelle et le comportement éthique dans la communauté financière. LSM is part of PIM (Partnership in International Management). PIM is a consortium of leading international business schools, founded in 1973. Each member institution represents the highest degree of excellence in the fields of business administration and management, demonstrates leadership in their geographic region and delivers an MBA or a graduate-equivalent degree in management. PIM facilitates the development of international cooperation among members, fostering the development of joint programs, students and faculty exchange, joint research and cooperation among faculty members and researchers. The SCOR Scholar (SCOR-S) is designed for university students who do not yet possess significant experience. SCOR-S certification demonstrates understanding of supply chain management as interpreted via the SCOR Framework. It is the only program of its type in the world that provides professional certification of supply chain knowledge to students. Certification allows companies to rapidly assess skills and competencies of current personnel and recruits, and evaluate the effectiveness of training. Encouraging employees to achieve certification demonstrates your investment in their educational development, aiding recruitment and retention.